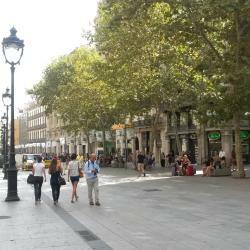 Looking for hotels near Universitat Metro Station? Featuring a rooftop terrace with a bar and chill-out pool, H10 Metropolitan is in Barcelona, 295 ft from Plaça Catalunya. 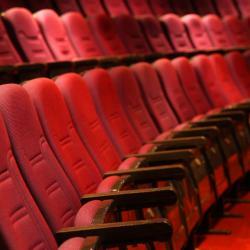 It showcases a tapas restaurant and free Wi-Fi. Located right on Plaça Catalunya Square in Barcelona, Iberostar Paseo de Gracia 4* Sup offers a terrace with a pool and free WiFi throughout. Private parking is available on site. A fabulous hotel in the heart of Barcelona. We wouldn’t change a thing ! Located on Plaza Catalunya in the center of Barcelona, the Hotel Olivia Plaza offers free Wi-Fi and a terrace bar with views of Santa Ana Church. Stylish rooms include a flat-screen TV. Perfect location. The Airbus (airport bus) station is across the street. 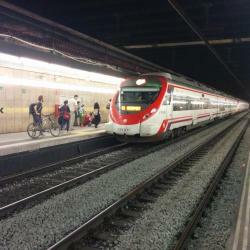 Hotels with great access to Universitat Metro Station! Including a free breakfast buffet, Hotel Margot House is located in Barcelona. This hotel is set in front of Casa Batlló, at number 46 in a residential building in the heart of Passeig de Gracia. Amazing location, fabulous staff! It was a wonderful way to wrap up our 2 week vacation! 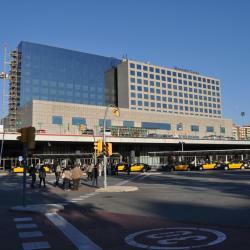 People are talking about Universitat Metro Station! Explore guest hotel reviews featuring "Universitat Metro Station"
The hotel was in an ideal location, just a couple minute walk from La Rambla & Universitat metro station, which was ideal for pretty much everything we wanted to do in Barcelona. They were very friendly, and helpful with any questions we had. Location is excellent, just across the street from Universitat metro station and in walking distance of many restaurants, shops, and sightseeing. The room was comfortable enough, clean and overall it's a great value for money in Barcelona. Very clean, comfortable rooms. 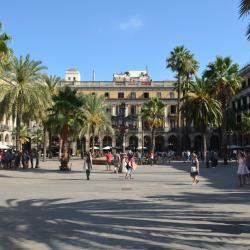 Excellent location, right next to Universitat metro station. Staff were very friendly and helpful.